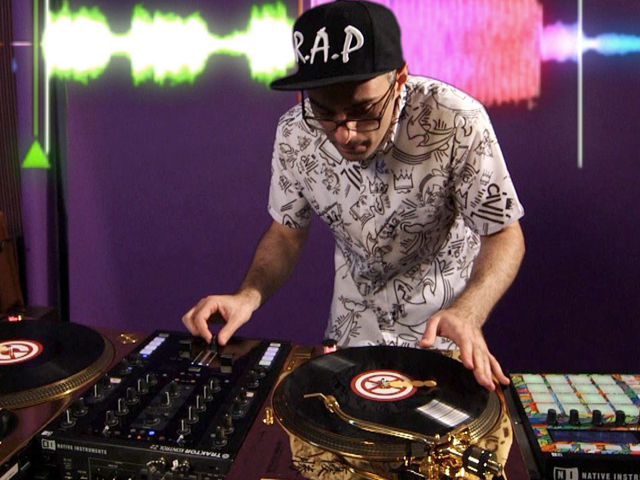 In this video roundup, we take a look at the best routines from our two Dubspot Turntablism Instructors / DMC Champions: DJ Shiftee and DJ Precision. Interested in taking the Turntablism Course at Dubspot? We have a course starting 8/4 in NYC featuring a team of instructors including Shiftee and Precision. Register today! Shiftee also made his custom Maschine for Traktor mapping available for free download! Check out this post for more details. So, how did you approach this new routine? Shiftee: I wanted to make use of the Z2′s features to explore creative possibilities otherwise impossible. Elements like pad placement for easy cue point + sample use, the magical FLUX mode, and joining pad stuff with turntablist techniques all come into play. After that, it was just about trying to make everything sound cool and cohesive. Check out the full interview featuring Shiftee here. In this video, DJ Shiftee showcases a new routine cutting up “It’s You” by Duck Sauce in a New York barbershop for A-Trak’s YouTube channel. The video shows some of the performance possibilities of the Traktor Z2 mixer combined with the Native Instruments Maschine. Shiftee also busts out the body tricks and cue point juggling for this one. After winning the 2012 DMC US National DJ Battle in New York City in August, DJ Precision traveled to London where he competed in the 2012 DMC World DJ Championship and landed in second place, just behind winner DJ Izoh of Japan. As Precision states, second place is decent but for a competitive turntablist champion, not good enough…! In this video, DJ Precision demonstrates and showcases his extraordinary skills behind the decks by performing part of his routine from the 2012 DMC World Championship, and encourages DJs to learn fundamental DJ concepts and techniques, hone their craft, cultivate their talents, and strive to take their music one step beyond.